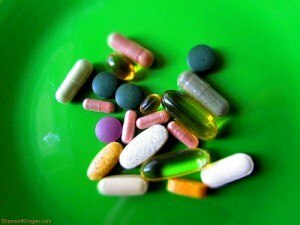 Stop Paying too Much for Vitamins! Consider Coupons – Many brands offer Sunday coupons good for $1-8 off any size bottle of your favorite supplement, making the deal sweeter than if you committed to the larger size. Stores like Walgreens and CVS also feature at least one or two vitamin brands in their weekly circulars, giving customers Buy One Get One deals or even credit towards a future purchase designed to make the product free! If you aren’t certain about where to find your favorite brands’ coupons, consider checking out their pages on Facebook, where new savings offers are often exclusively promoted. Store Safely – Improper storage is a common reason for the typical household losing (or having to toss) hundreds of dollars in products a year. Vitamins and health supplements can only work if they maintain their chemical properties – something that can change over time. If you aren’t certain that you can keep your pills cool, dry, and away from light, stick to small bottles that you can use up quickly. You will also want to be sure that you keep all supplements – especially the yummy gummy or fruit-flavored ones – away from kids and pets. It just takes one or two additional doses above the recommended amount of certain products to poison a small child. Go Generic – With the exception of certain designer drugs with patent protection remaining on them, it’s always an option to buy off-brand. Products that we’ve used with no issues include kids (and adult) gummy vitamins and certain herbal remedies. Items that didn’t make the cut at our house and were quickly disposed of after buying included knock-off fizzy vitamin drinks and certain weight management bars. (While their effectiveness was never called into question, the taste was horrible compared to their brand-name counterparts!) Remember: If you can find a coupon for the brand name product, it may or may not be cheaper than the generic. Your value may differ from week-to-week as store sales change. Don’t Duplicate – If you take more than one supplement or vitamin daily, you will want to be certain that you are not overlapping ingredients. Some women’s vitamins contain iron, for example, and taking an additional iron pill wouldn’t be productive (and could cause tummy troubles.) Other products, such as the gummy options, might not have the added iron due to solubility issues. Check the ingredients carefully to make sure you aren’t paying for something you already have in the medicine cabinet. Also, be wary of products that offer more than 100% of your daily required intake. While it might not hurt you to take more than the recommended dose of vitamin C, it also won’t help beyond a certain point. If you already get your daily dose from a multivitamin or the foods you eat, it’s cheaper to skip the extra doses. Inquire about Insurance – Some over-the-counter vitamins and supplements may be covered by your health insurance. Those that are prescribed by a doctor (prenatal vitamins, or those to treat a specific disease, for example) may also be available in a prescription form, eliminating the need to scout out a formulation on your own. Purchasing supplements can be impulsive for some, and others find that they buy them and never actually use them. If you are considering buying some for the first time, start slow and introducing one new product at a time – until you know how you’ll benefit. As with any supplement, it’s best to consult your doctor before trying something new. Do you have a money-saving strategy for paying for your vitamins? If you eat a well balanced diet there is really no need for vitamins at all. So if you eat well, any cost for vitamins is too much! Don’t take a pill… Eat a Vegetable! ! !